I hope everyone has had a great week. 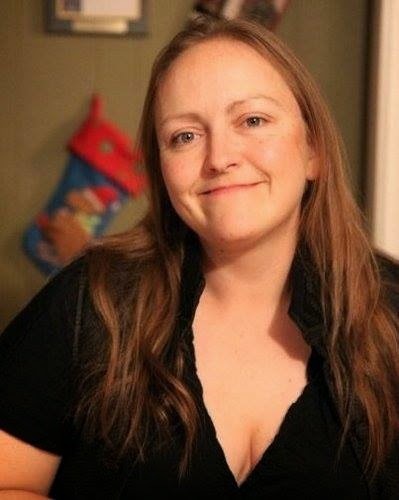 Today, I'm thrilled to introduce you to my friend and chapter mate, Shelley Greene. Shelley is here to talk to us about her first novel, FIRE WALKERS which is being released in just four days!!! This is a dream that she has worked so hard to achieve and her moment is finally here. You all know how I can ramble on and on. Let me just turn this interview over to Shelley so you can get a chance to learn more about her. Thank you for hosting me! My debut novel, THE FIRE WALKERS releases July 1st, 2014. It’s been a journey watching the story go from thoughts in my head to this adventure I can hold in my hands. I’m super excited to talk to you about it. I'm so happy to be able to share this moment with you. So, when did you realize you wanted to be a writer? Hmm. I believe that it first began when I was in my early teens. I wrote in a journal a lot. It wasn’t until much later that I translated those personal thoughts and emotions into a fictional character. What do you like best about being a writer? What do you like the least? My favorite part is the freedom. You can be anyone, go anywhere and experience everything with a tap of the keyboard. I love that. Least favorite would have to be pressure that authors put themselves under. Writing is a creative art, and although there are stages that require scrutiny (editing, promotion, media), it’s a struggle to remember that we write for expression and fun. Nothing else should matter. That is so true, Shelley. Sometimes we all become overwhelmed with the process and forget what we love the most, the writing. So, how do you think your life experiences have prepared you for a writing career? Good question. I tend to overlook all the things that have played into my becoming a writer. I lived abroad when I was very young, and I’ve traveled to destinations that I wanted to see. I lead a pretty routine life, but I credit my curiosity for taking me new places. When I see or read about something that piques my interest, whether that be a political movement, a news article, a fashion trend, or an old building, I learn everything I can about it and then the daydreams begin. If you had one take away piece of advice for authors, what would it be? Don’t be afraid to make mistakes. It’s how you learn. That is great advice, Shelley. So please tell our readers what genre(s) you write in and why? I write Contemporary and Romantic Suspense. A good contemporary makes me feel a connection with the characters as if I know them personally. I love writing that relates to people, family, and all the issues one encounters in real life. After a long day, a reader can pick up a contemporary romance novel and experience an empathetic parallel to their own world. Romantic Suspense is contemporary with a kick. I enjoy taking a story set in modern day and adding believable conflict. A love story with a hint of danger and intrigue excites the mind and still gives the reader the Happily Ever After. Tells us about your newest book release, THE FIRE WALKERS. Woohoo! Sorry, couldn’t contain that. Here is the blurb for FIRE WALKERS: ENJOY! Kelly Monroe is an idealistic good girl thrown into a bad situation. A graduate student chasing her dreams of a PhD, one party invitation lands in her a jail cell with only vague memories of the night before, images of a tragic bonfire haunting her. 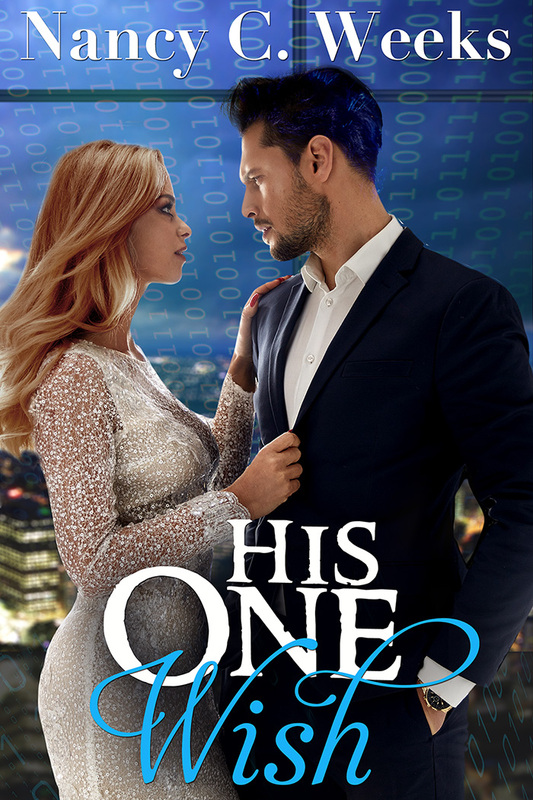 Sentenced to perform community service at a horse rescue, Kelly’s life goes from bad to worse, all under the watch of an attractive, blue-eyed detective. Driven to stick out the hard times, Kelly develops a bond with Keegan, an abandoned racehorse horse with a past. Ex-NARC turned arson detective, Aidan Wright is tracking the drug dealers who killed his partner. Kelly’s memories of the bonfire prove to be the missing piece to Aidan’s investigation of several drug-related teen deaths, perpetrated by the band of drug dealers who scarred him years ago. When Kelly becomes the unsuspecting victim of the drug group’s trafficking, Aidan is forced to stay close to her to catch them. As Aidan uncovers the truth, Kelly develops feelings for the fearless, blue-eyed cop, and the battered arson detective falls hard for the sanguine girl with the contagious laugh. That sounds like a wonderful, exciting read, Shelley. So tell us a little bit about how you came to write THE FIRE WALKERS. Do you believe writers are born to write or learn to write? The inspiration to write TFW came from several sources. In 2008 I began volunteering at a horse rescue in western Maryland. All of the horses have such personalities, and spending time with them made an indelible impact on me, one I will never forget. The plot stemmed from an old news article that I’d read in the 90’s. When writing suspense I look for strong conflict, and the true-to-life event gave a plausible reason as to why the drug dealers would be after my heroine. I believe in both nature and nurture when it comes to writing. Not every writer makes a career of it, but there are scores of examples of those who both started young and who never picked up a pen until later in life. I’ve seen authors write one novel in their lifetime and one every month of the year. I think love for the craft is what matters. Whether you write once a year and only for yourself, or every day for the masses, you are a writer. Shelley, that is something that took me a while to learn, that I was a writer whether I was published or not. So here is a fun question. While writing each of my novels, I found that a special play list of music seemed to have formed along with the story. What is the theme song to this book? As you wrote the story, what music did you go back to time and time again? Music played an important role in this novel. I don’t listen to music when I’m writing, but the scenes of the story play out in my mind when I’m walking with my MP3 and in the car. With TFW it was about feeling lost, cultivating courage and finding your fire. A little bit of rest and then back to drafting book #2 in the Walker series. You meet the hero in THE FIRE WALKERS. Keep on the lookout for him! It was a pleasure visiting today, Nancy. Thank you so much for having me! 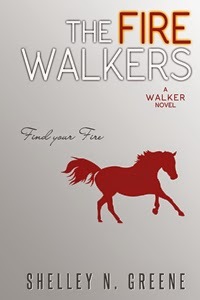 Oh, it was my pleasure and I wish you all the luck in the world with your debute novel, FIRE WALKERS. AGAIN, FIRE WALKERS comes out Tuesday, July 1, 2014. Here is where you can find out more about Shelley N. Greene. I hope everyone has a great weekend. As always, be nice to each other. I hope everyone is having a good week. The last few days, I have been forcing myself completely out of my comfort zone and throwing myself into the horrid world of PROMOTION. If there was one awful, terrible, hated task all authors have to endure, it's PROMOTION. That word stiffens every 'creative juice', making me want to run into the hills and hide. A little melodramatic, you think? Not if you live in my shoes. Promotion is a horrible chore but so necessary if I ever want to reach readers and get my books in front of them. There are no clear road maps, solutions, or magical wands available to make promotion easy. It's hard work and a minefield of doubt and indecision. BUT, this week, I have tackled two areas of promotion I want to share with you. 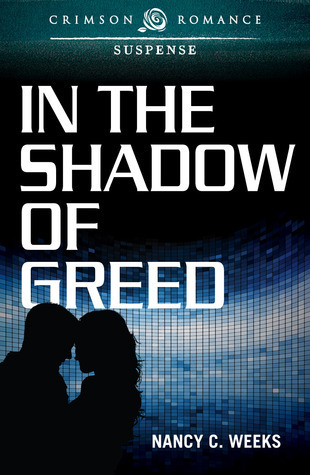 First of all, I have finally tipped my toe into the mystical world of Goodreads and have entered my first book, In the Shadow of Greed into a Goodreads Book Giveaway. In honor of my next release, In the Shadow of Pride, I have chosen to give away one autograph copy of Greed. This contest is worldwide---and yes---I will ship the winning book to other countries besides just the United States. If this is something you think you might like to have, then all you have to do is clink on this link, hit the enter to win icon, and then cross your fingers. Best of luck! Giveaway ends July 21, 2014. The second thing I have done this week is begin adding FREE sample chapters of each of my books on Wattpadd.com. I just found out about Wattpad and am still learning how to use it. If you would like a chance to read more pages of my stories than are available on the on-line stores, you now can go to the link before. Watch for new chapters for the next book in the series, In the Shadow of Pride. If you take time to leave me a note on Wattpad, I will answer!! That's all for this week. Have a wonderful weekend and I hope you find something fun to read. I just received my new cover!!! 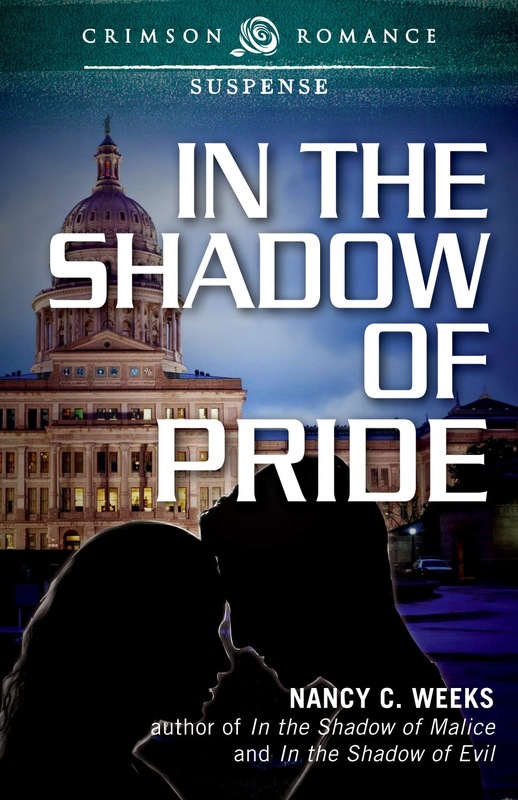 IN THE SHADOW OF PRIDE, the fourth book in my Shadow series is going to be released on July 21st. For all those who have been following the series, this is Luke (Mac) McNeil's story. You met Mac in the first book, In the Shadow of Greed. I just love what the art department of Crimson Romance came up with for the cover. It not only fits the series perfectly, but it fits the story. Wait until you read why the State Capitol of Texas is shining so brightly in the back ground. So ...what do you think? Yep, I tipped my toe into the fascinating world of drone technology in this story. Stay tune. In a couple weeks, I will post a couple sample chapters. I love sharing little milestones like this one with you. Publishing one book was a dream come true. Having four books out is just unbelievable at times. I can't tell you enough how much I hope you take the chance and reach for that one thing you think is just out of your reach. It's not! Finding my dream hasn't been easy--not by a long shot, but it sure is thrilling. 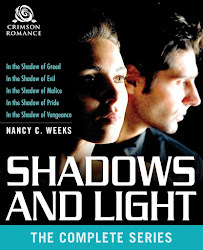 Here is where you can find the first three books in my Shadow series. I'm so excited today to introduce you to a new author, my friend and chapter mate, Laura Welling. Laura is here to tell us about her wonderful debut novel, Talent to Burn. Check out her first cover below. I just love it. Since Laura has been so kind to answer all my questions, I'll try not to ramble on and get right to the interview. Laura, I can't thank you enough for being here today. This is such an amazing time in your life and I wish you great sales and look forward to news about your next book. So Laura, please tell us when did you realize you wanted to be a writer? I have been writing books since I was four years old, so I don't remember not being a writer! It's part of my identity. The best part is having written. No, seriously – I really enjoy coming up with ideas, and writing my characters into a corner, so I can get them back out. The worst part…some days you have to force the words out whether you want to or not. The funny thing is that those scenes that are the hardest to write are sometimes the best to read. The good stuff is always the hardest. Writing does take a serious level of discipline, doesn't it. How do you think your life experiences have prepared you for a writing career? My mother's family is a family of storytellers. There are hundreds of them, and they are Irish, so they all talk at once, and everything is filled with great drama and humor. I always loved stories, and loved books, and I can't imagine not being a storyteller myself. Your family sounds amazing. I would just love to sit at your family's dinner table. Now that you have gone through the writing process from creation to publication, if you had one take away piece of advice for authors, what would it be? Perseverance is the most important skill. I see it over and over: if you keep at it, you will get published, you will get better with each book. What genre(s) do you write in? Why? 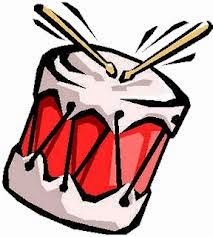 Tell us about your newest book release, Talent To Burn. Talent to Burn is my first published novel, and the first book in the Hidden Talents series. It's an urban fantasy story about people with psychic Talents and the shadowy organization that's trying to exploit them – kind of an X-Men-meets-The-X-Files if you will! It's the story of Catrina "Cat" Wilson, who ran away from the secret government-sponsored Grey Institute for Talent research when she was eleven, because she had no apparent Talent and was being used as an experimental guinea pig. Her brother Eric, a powerful firestarter, stayed behind. At the start of the book Cat is approached by the hero, Jamie – even though she's spent her whole life on the run, he's tracked her down with his Talent for finding people. He represents a group of misfit Talents and he brings the news that her brother has left the Institute, lost control of his Talent, and killed a bunch of people. Jamie wants Cat to help him track down Eric before the Institute catches up with him, and before he kills again. Laura, that sounds exciting. I can't wait to read it. Tell us a little bit about how you came to write Talent To Burn. What was it about this story that captured your imagination so completely, it drove you to create an entire novel around it? Many things that were in my internal zeitgeist at the time came together to make this book. I was interested in what it would be like to spend your life in hiding, which is what the heroine has done. I've always wanted to write about psychics or supers. It seemed natural that in the political climate of the last few years that the government would want to resurrect a psychic research program as a secret weapon against terrorism. And then I had the fun of mixing it up – the "good" guys are on the run, and the "bad" guys are what you'd normally consider good guys. What kind of research did you do to prepare for Talent To Burn? I read up on government and military use of psychics: the Remote Viewers and so on. There's some fascinating stuff, and it all provided a backdrop for the book. Now for a fun question. What is the theme song to this book? As you wrote the story, what music did you go back to time and time again? It was "Chasing Cars" by Snow Patrol. Love this song! I love Snow Patrol too and they make a regular visits on my play list. What is up next for you? I'm working on the sequel to Talent To Burn, which is tentatively titled Talent To Kill. It's a lot of fun! I love the new title of your work in progress. Again, Laura, I can't thank you enough for being here today. Have a wonderful release day, enjoy your moment because you have worked so very hard for it. Laura has been kind enough to share the blurb and an excerpt of Talent to Burn. Cat Wilson grew up a misfit among misfits. She couldn’t read minds, see the future, or start fires like the other Talented kids inside the shadowy Grey Institute. Finally she ran, leaving her beloved brother, Eric, behind. She’s been running ever since. 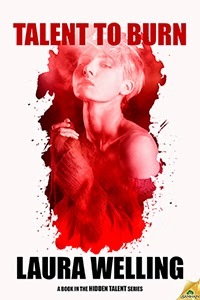 When she learns that Eric has escaped, leaving deadly fires in his wake, Cat is torn between fear for her brother, and unwanted attraction to the messenger, a charming, Talented ex-con who lives for the next adrenaline rush. Jamie Murphy is sure his group of outcast Talents can help Eric—if they can get to him before the cops or the Institute, and before he kills again. Cat’s aversion to Talented bad boys is like a wall of ice, but to his surprise, he doesn’t have to use an ounce of his own unique gift to find a way through it. Yet locating Eric is only the beginning. In the battle to pull him back from the brink, Cat must find the courage to unlock a fearsome Talent of her own. And pray the psychic backdraft doesn’t destroy everyone she loves. The place held echoes of a thousand other bars, although the fire had painted everything black. The cheap tables looked worse for wear, lopsidedly melted. The bar still stood, and was toward the back of the venue, with a line of bar stools in front of it.“Do you know much about fires?” Jamie asked.“Nothing technical.”“Look, here,” he said, gesturing at the remnants of what had been bar stools. “See how these have melted, but this one at the end is intact?” I looked where he pointed. A fan of burn marks spread out from the untouched stool.“I guess Eric must have been sitting there.” I rubbed at my arms, which were covered in goose bumps. Thinking about what had happened here made my stomach twist. God, I hoped I wouldn’t vomit. People had died here, right where I stood. I cringed inwardly. “You think he burned them where they sat drinking?”“That adds up with what we heard in the initial reports. One minute it’s a normal night out, and then everybody—and everything—is on fire.” He paused, looking around, but his expression was neutral. “I wonder what happened then. I guess Eric took off.”I tried to imagine what could have caused my brother to start the fire. Had someone attacked him? Was it some kind of freak accident? “If you’d started this fire, what would you do next?”Jamie looked directly at me. “I’d run like hell and hope the cops never found me. Do you see anything else?”“A lot of mess and water and charcoal.” I closed my eyes. I couldn’t close out the smells, or the images of horror filling my mind. I could never un-see this.“I mean, do you see anything?”I fought the urge to punch him. “I never see anything. I’ve told you before.”“Sorry,” Jamie said. “I know this must be harrowing for you.”His hand landed on my bare arm, hot against my skin, and I plunged into a waking dream. When’s she’s not writing, Laura Welling wears a lot of other hats: mother, farmer, and software engineer. She's Australian but lives in the United States on a horse farm, which she shares with her family, an over-sized dog, and various horses, cats and chickens. 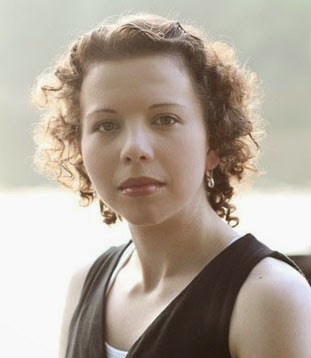 She is a compulsive reader of all genre fiction, who started reading before the age of two, and never stopped. She wrote her first “book” when she was five—a spy story, which has since been joined in a bottom drawer by various other early attempts. This book was inspired by some of her favorite stories: Anne McCaffrey’s science fiction novels, Marvel’s X-Men comics, and The X-Files television series.